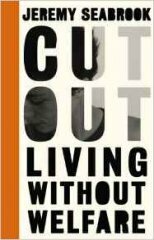 In Cut Out: Living Without Welfare, Jeremy Seabrook speaks to people whose support from the state – for whatever reason – is now being withdrawn, rendering their lives unsustainable. In turns disturbing, eye-opening, and ultimately humanistic, these accounts reveal the reality behind the headlines, and the true nature of British politics today. Jeremy Seabrook is a journalist and writer. He has written for the New Statesman, Guardian, Times and Independent. He writes plays for stage and TV and is the author of numerous books including Pauperland: Poverty and the Poor in Britain (Hurst, 2013) and The Song of the Shirt: The High Price of Cheap Garments, from Blackburn to Bangladesh (Hurst, 2015).